I've got a 76 ironhead sporster with some kind of starter problem. Seems like when I hit the start button the starter will not stay engaged long enough to start the bike, until I try over and over and then it will catch just long enough to start the bike. When I try and the starter disengages it is a loud whining noise, just like a bad bendix spring going out in some of the old cars starters I used to own. Is there such a spring that goes bad in this starter also or something else, or something else entirely-----HELP!!!!!!!!!!!!!!!!!!!!!!!!!!!!! There is a starter bendix gear that is likely going bad. The noise and symptom you just described sounds as though yours is going out. Here is a replacement. I would vote for the bendix gear, as super2nr said. Incorperated in the gear is a one way bearing, which will allow the starter and shaft freespin without turning over the motor when it fails. It's a pretty common failure item. Be sure to get one from the dealer, as the aftermarkets don't last. it's not too bad, but you will want a factory service manual before you start doing too much work on your bike. You can either replace it with a heavy duty 5 roller or a 6 roller bendix made by MES which i did sold by custom chrome.Here is a picture of my 5 roller bendix that i pulled apart, i found a crack down the side of it and the roller where kind of bevelled, hard to tell by the pictures. you really need to start a new thread or check back thru old post ,need A LOT more info, start with year,model? Here is another very simple non complex test you can do if you suspect that something is draining your battery when the key is off. This applies to bikes that have no digital instrumentation (like ironheads). Unhook your negative battery terminal. Touch the wire back to the negative battery terminal, there should be no spark when you do. If it arks and sparks (like a downed hydro pole in a rain storm in a horror movie) then something is drawing power when it shouldn't be. 1. connect a jumper from the "+" battery post to the "A" armature terminal on the gen.
2. Connect a jumper from the "-" battery post to the "F" field terminal of the gen.
3. Now take a third jumper from the "-" battery post and touch it to the case of the gen.
Don't try this with the generator on the bike. - With the CE-540 setup the generator can be polarized by running a lead from the battery + to the "A" terminal. - With the CE-500 you need to polarize the generator at the positive brush lead. 2. 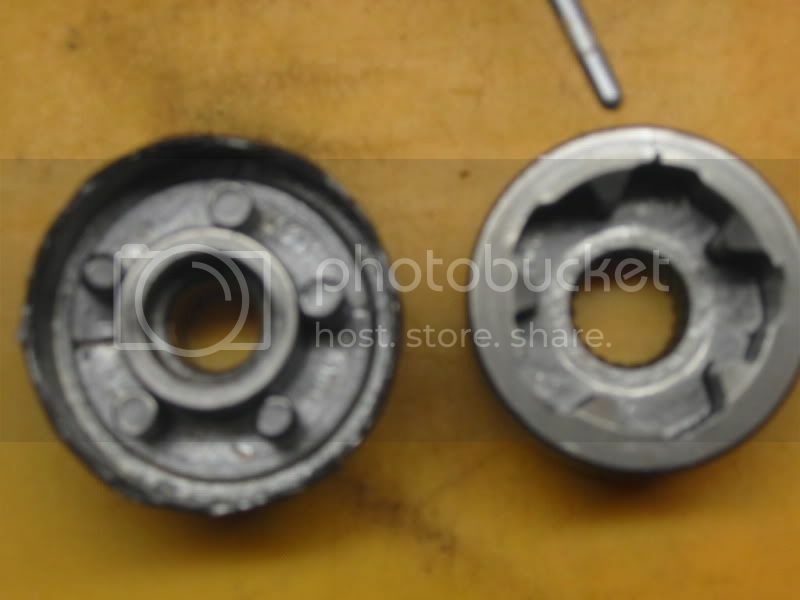 To remove the gen from the bike: Disconnect the wires from the A and F terminals; remove the two bolts from the gearcase side; raise the inner end toward the 11:00 o'clock position, lower the outer end toward the 5:00 o'clock position, and remove carefully. For the rest you really need a manual. The FM is very good. It is usually not necessary to remove the gen drive gear - this requires a gear puller to remove. The rest of the gen dismantles quite easily.